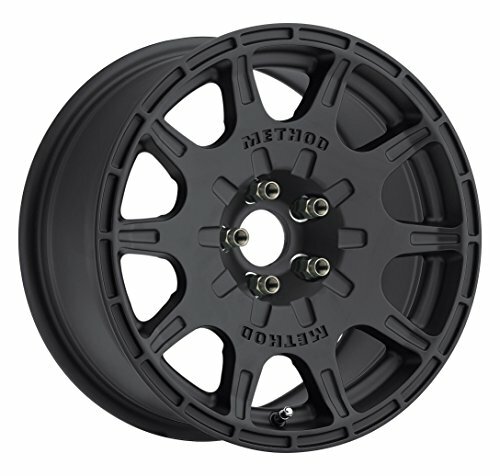 The MR502 Rally VT-Spec is the wheel that started our venture into rally racing. Developed as a low-offset 15” gravel wheel for their new car, Subaru Rally Team USA’s David Higgins and Craig Drew won a 2014 Rally America Championship on this exact wheel. Unnecessary weight has been cut out due to strategically placed pockets in low-stress points around the wheel, including the 'I-Beam' inner-lip technology. Matte black paint and steel lug nut inserts come standard on the VT-Spec providing a hardened clamping surface able to withstand rigorous race conditions. The 502 comes in at 19.4 lbs with a stout 2,100lb load rating. With a +15mm offset, 5x100 and 5x114.3 bolt patterns, fitment is ideal for Subaru and Mitsubishi vehicles.